I love playing with classics-and there are few things more timeless than a great pair of jeans, a crisp white top, a blazer, and some pumps. 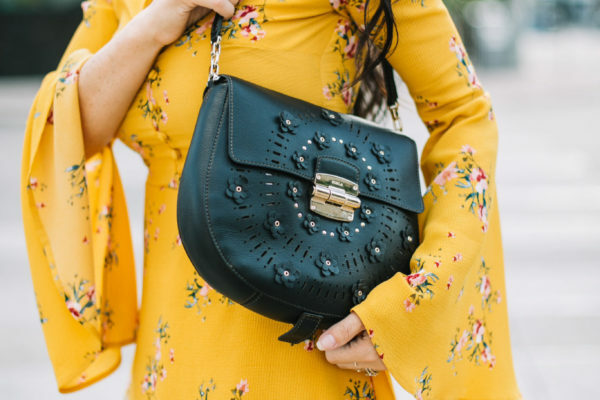 These are the sorts of pieces that transcend times and trends, that you can always pull out of your closet and feel fabulous in. My summery take on the classic denim and white tee combo mixes in a menswear oversized blazer and cut offs instead of jeans and a more fitted blazer; I like playing with structure and varying lengths. 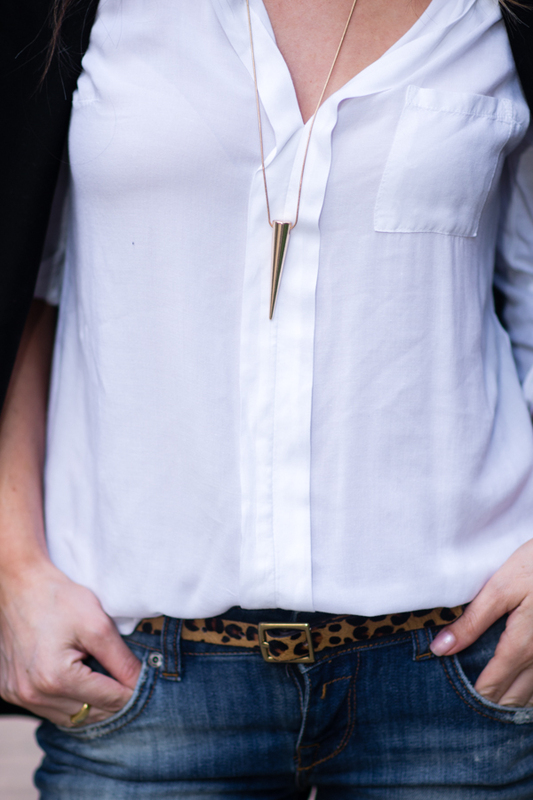 Adding simple accessories like a leopard belt and gold pendant necklace add to the simplicity of the outfit rather than overwhelming it. What are your most favorite classic pieces in your closet?